Source:The Bancroft Library. University of California, Berkeley. 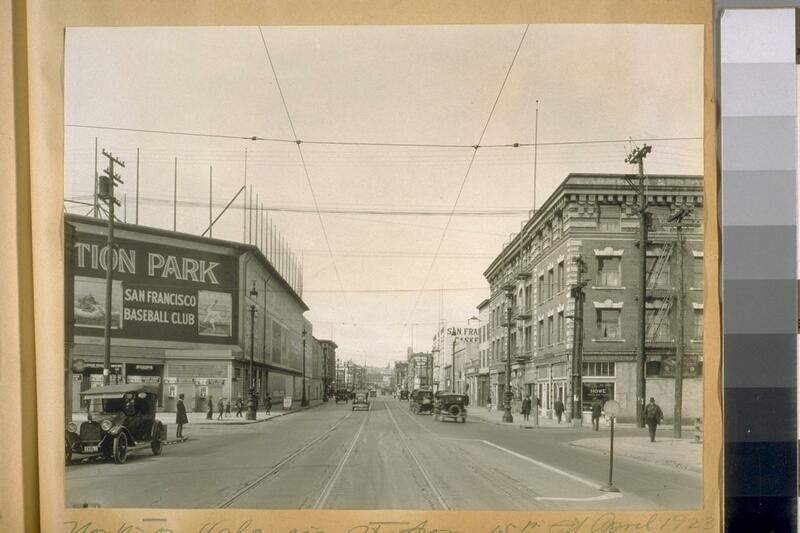 Notes: This ball park preceded Seals Stadium in the Mission and was home to the San Francisco Seals and Mission Reds from 1906 to 1933. Map your place in history.